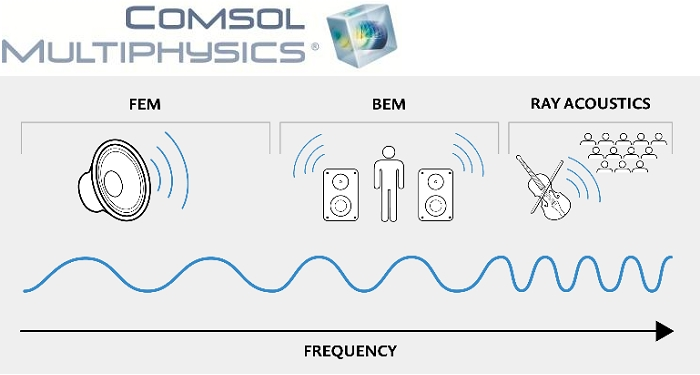 COMSOL has released its latest edition of the COMSOL Multiphysics and COMSOL Server products. The New Version 5.3a provides simulation specialists with cutting-edge modeling tools and increased solver performance. From shape memory alloy (SMA) material models to a revolutionary method for capacitive coupled plasma (CCP) simulations and a hybrid boundary element-finite element (BEM-FEM) method for acoustics and acoustic-structure interaction, customers across all industries and areas of physics will benefit from new methods and reduced solution times. COMSOL 5.3a offers acoustics analysis based on the boundary element method. The recent addition of the boundary element method in COMSOL Multiphysics will enable to model large acoustical radiation problems, such as, exterior sound reproduction for electric cars. The possibility of coupling BEM to FEM creates a highly versatile simulation environment for the automotive audio industry. 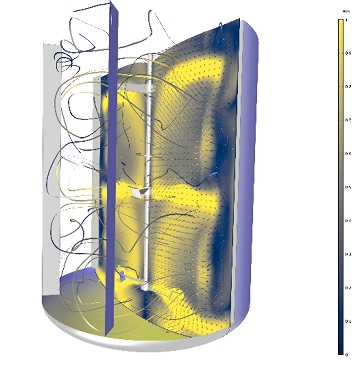 Acoustic engineers will now get unprecedented modeling power by being able to analyze the full range of acoustic frequencies from the lowest bass notes to ultrasound, in addition to all of the possible multiphysics couplings available in the software. A framework for model reduction is available with the release of two methods, modal analysis and asymptotic waveform evaluation (AWE), for the reduction of the computational complexity of mathematical models. Customers using LiveLin for MATLAB can get access to reduced models through a dedicated state-space export function. Many customers, especially those involved with computational fluid dynamics (CFD) analysis, will experience up to 40% improved performance for algebraic multigrid (AMG) and 20% for geometric multigrid (GMG) solvers. 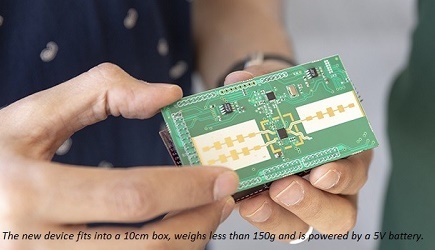 Support for 3Dconnexion SpaceMouse devices makes model navigation easier. The color table Cividis, optimized for people with color vision deficiency, is now available for visualization of field quantities. Chemical engineers will benefit from the built-in library for thermodynamics properties, which features models for gases, liquids, and phase equilibria (gas-liquids). The built-in thermodynamic and transport properties feature allows for a rapid, accurate, and user-friendly model definition of fluid flow, heat transfer, and reacting flow models. The dramatic increase in usability also includes the use of external thermodynamic property packages that may link through standard formats to COMSOL Multiphysics. There is a new realizable k-ε turbulence model available for a more accurate description of fluid flow features. A predefined multiphysics coupling has been introduced for the modeling of heat and moisture transport in building materials and moist air. COMSOL Multiphysics and COMSOL Server software products are supported on Windows, Linux and macOS operating systems. The Application Builder is supported in the Windows operating system.